Frenzy makes her first appearance. 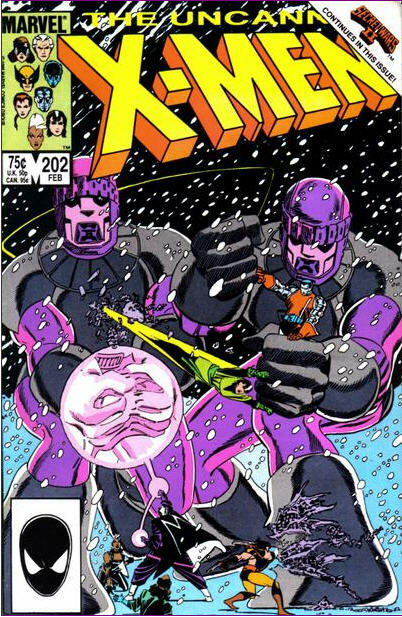 X-Factor, in their costumed guises, confront Tower at LaGuardia Airport, having noticed him watching the X-Factor building. He ultimately escapes and meets up with Frenzy, who admonishes him for failing to liberate the boy from X-Factor and tells him their master has sent her to finish the job. Back at X-Factor headquarters, Rusty is training with Jean, but gets distracted when Scott and Artie enter the room. After being admonished by Jean, and angry about being forced to live with the odd-looking Artie, he rushes off. 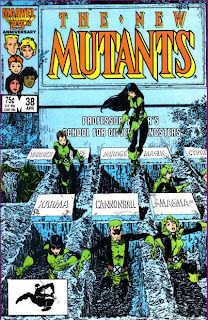 Later, X-Factor investigates a potential mutant at a boarding school, but it turns out the boy in question was just faking being a mutant. 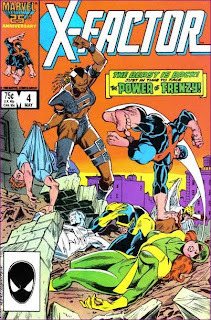 However, the abject terror he expresses at the idea of being taken away by X-Factor leaves Jean wondering if their mutant hunter ruse is doing more harm than good. The Snow Valley sheriff contacts the Avengers, alerting them that Magneto intends to kidnap some students from Emma Frost's Massachusetts Academy. They agree to help the sheriff and stop Magneto. Meanwhile, at the Massachusetts Academy, Cannonball, Magma and Jetstream train together, but Cannonball is distracted and performs poorly. Jetstream confesses to the White Queen that all of the New Mutants are suffering from nightmares and not sleeping well, leaving her to worry that her psychic surgery may not have been entirely successful. 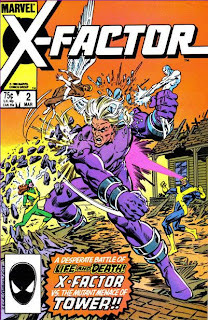 As dawn breaks, Magneto and Warlock are heading for the Academy when they're attacked by the Avengers, whose initial volley severely injuries and weakens Warlock. 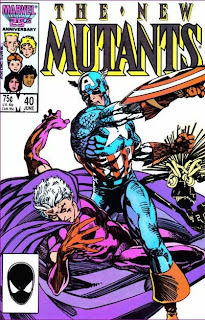 A fight between Magneto and the Avengers breaks out, with the Avengers firmly believing Magneto to still be villainous while Magneto does his best to protect Warlock and not cause serious harm to the Avengers. Katie Power helps a badly injured Wolverine fight Lady Deathstrike. In her Body Shop, the sorceress Spiral completes her latest transformation: that of Lady Deathstrike. Along with the former Hellfire Club soldiers Cole, Macon and Reese, Deathstrike, now equipped with cybernetic enhancements and claws of her own, departs to hunt down Wolverine. Later, Katie Power is in New York City singing Christmas carols with her class. In the midst of a worsening snow storm, Cole suddenly emerges, firing wildly and separating Katie from her teacher. Moments later, she stumbles into a badly-injured, near-bestial Wolverine. Though frightened, Katie quickly realizes Wolverine needs help, and does her best to get him away from his foes. The time she buys him enables Wolverine to heal enough to regain his senses. He thanks her for her help, then asks her to do maybe the hardest and bravest thing she's ever done: trust him. 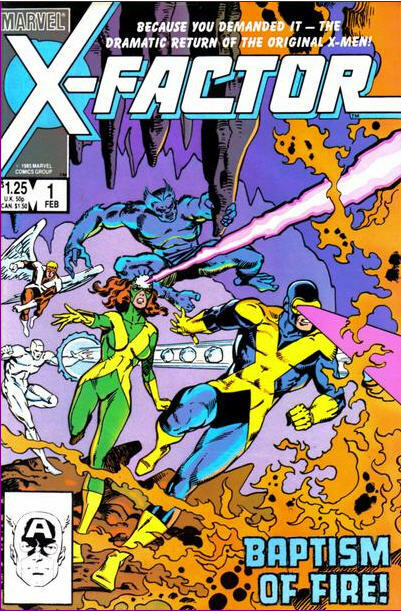 Three issues a week hasn't killed me yet, and we'll keep at it this month as we draw ever closer to "Mutant Massacre", after an early break to look at the Firestar limited series and X-Factor's first annual. Also, for those of you who haven't heard, frequent commenter Matt has launched his own blog, Not a Hoax, Not a Dream, containing assorted comics reviews and other pop culture musings. Be sure to check it out! 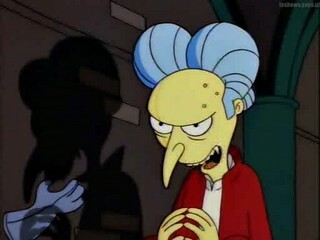 A self-help guru convinces the town to follow Bart's example to "do what they feel like". In the wake of Homer's acquisition of a free trampoline, Marge is heading for a nervous breakdown when she realizes what a nag she is, until her sisters introduce her to Brad Goodman's self-help seminar. 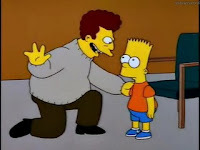 Albert Brooks makes his third (out of five, as of this writing) guest appearance on the show, as self-help guru Brad Goodman (reportedly modeled after real-life self help guru John Bradshaw). 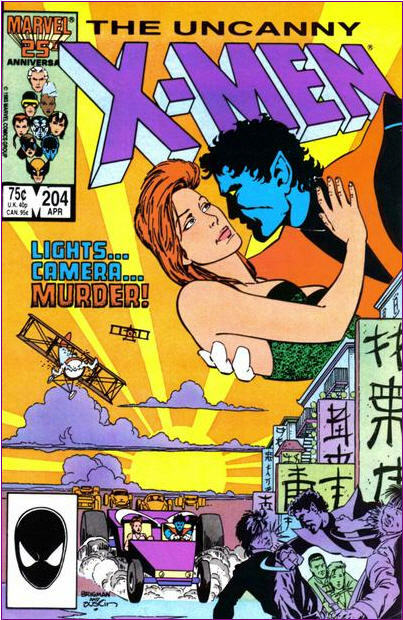 Nightcrawler rescues a woman from Arcade. At Amanda Sefton's New York apartment, Nightcrawler broods about his encounter the Beyonder and the fact that he was left behind when the other X-Men were taken to San Fransisco. 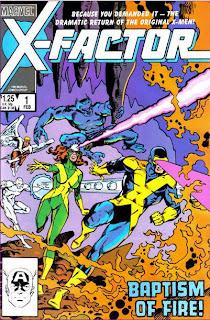 He admits to Amanda that he was glad to be left behind, so as not to face the Beyonder again, and yearns for the X-Men's old life of simple adventure. Though Amanda tries to help him snap out of his funk, he angrily rebukes her, driving her away. Alone, he spies one of Arcade's garbage trucks capturing a new victim, and follows the truck to Murderworld. Sneaking inside, he stops to adjust the security sensors, rendering him invisible until Arcade physically sees him. 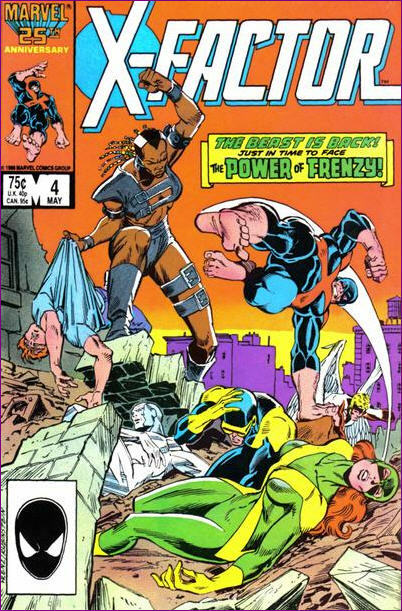 Arcade's victim, a woman named Judith, awakens in Murderworld and does her best to survive its traps, but is eventually rescued from a robotic shark by Nightcrawler. 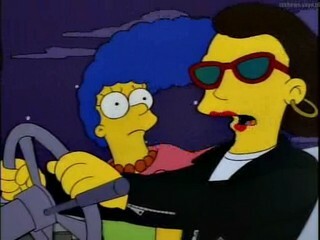 Marge spends a wild night out with her neighbor, Ruth Powers. After Homer gets his arms stuck in vending machines and can't go to the ballet with Marge, she invites Ruth, beginning their friendship. Ruth Powers, who first appeared in the fourth season episode "New Kid on the Block", returns, once again voiced by Pamela Reed (who you might remember from Kindergarten Cop and Parks and Recreation, where she plays Leslie Knope's mother). Though she develops a strong friendship with Marge in the course of this episode, she hasn't made a significant appearance since this episode, occasionally showing up in crowd scenes and the like. Beast is captured by his old foe, Carl Maddicks. Jean wakes from a nightmare, once again dreaming of her encounter with Phoenix, and broods on how alone and out of place she feels. Elsewhere in the X-Factor complex, Warren urges Scott to call his wife, but when Scott snaps at him, he leaves to go over some business with Cameron Hodge. In New York City, Hank and Bobby put a hold on their apartment hunting to meet an old friend of Hank's, Vera, and are shocked by her new look. Back at the X-Factor complex, Scott and Jean lead Rusty in his first training session, but he runs off after making a mistake. In New York, Hank and Bobby are attacked by Tower, who's been hired to capture Hank. Tower manages to knock him out, then delivers Hank to his employer. Meanwhile, Scott decides to call Maddy, but discovers the number has been disconnected. Just then he is summoned by Warren to join the rest of the team to respond to Hank's kidnapping. 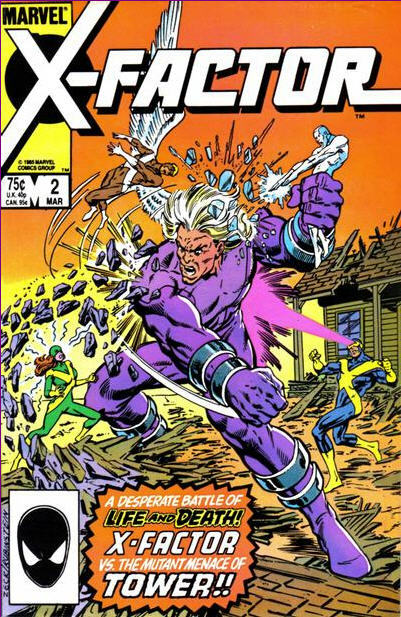 Magneto struggles to help the New Mutants in the wake of their encounter with the Beyonder. Magneto dreams of the New Mutants battling first Sentinels and then the Hellions, forced to watch and unable to help them. The dream ends with the New Mutants returning to graves on the mansion grounds. 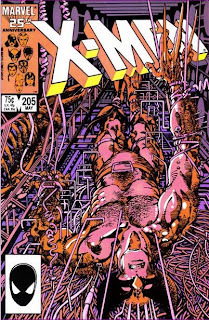 The next morning, Magneto discusses the dream with Sharon Friedlander: it occurs each night, and is shared amongst the New Mutants and himself. Just then, the students come down for breakfast, polite but sullen and depressed. That evening, Magneto broods over his inability to help his charges when he's visited by the White Queen, who offers to admit the New Mutants to her school and help them with her telepathy. Magneto flatly rejects her offer. The next morning, Magneto's frustration at his students' apathy towards their lessons frustrates him further. 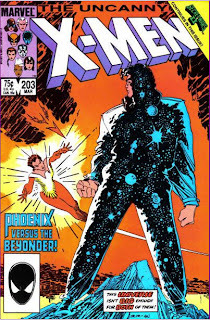 Phoenix tries to destroy the universe in order to destroy the Beyonder. In San Fransisco, Rogue recalls the last time she was in the city, when she battled Ms. Marvel and effectively killed her, permanently stealing her powers and memories. Returning to the home of Jessica Drew, where the X-Men are staying, Rogue spies Kitty outside. She is wearing Illyana's armor and wielding her Soulsword, and though Kitty remembers her, Rogue remembers nothing about Illyana or the New Mutants. Kitty rails against the Beyonder for having killed the New Mutants, and wonders what chance the X-Men have against him, when Rachel appears. Still flush with the additional power granted her by the Beyonder, she tells Kitty and Rogue her plan to destroy the universe, and the Beyonder with it, in the hope that whatever comes next will be free of his taint. She asks her teammates for their life essences in order to sustain her power, and both pass theirs on willing. Rachel proceeds to take the life essence from the rest of the sleeping X-Men, but a wakened Storm argues with her intention and refuses to give up her life essence, so Rachel takes it by force. Well, when you have writer's block why not write some one sentence reviews? World War Z (Movie, 2013) - Not only was it not as good as the book (or anything like it) it just wasn't good period. The original X-Men reunite to form a new team to help mutants: X-Factor. In Alaska, a retired Cyclops watches news of the Mutant Registration Act with concern, but Madelyne insists his family is his only concern now. In New Mexico, Beast and Iceman leave Angel's home, bound for new jobs. After they leave, Angel receives a call from Reed Richards, and rushes off to New York. In San Diego, a young naval sailor named Rusty and his chief leave their ship for shore leave. The chief introduces Rusty to a woman named Emma, and when she kisses Rusty, he suddenly bursts into flames, burning her. 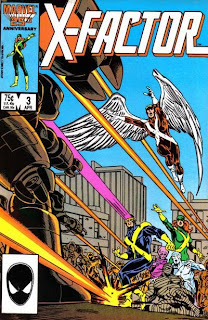 In New York, Reed takes Angel to Avengers Mansion, telling him Jean Grey is alive. In San Diego, Rusty is arrested by the navy, while Angel contemplates calling Cyclops about Jean. The next morning he does, and when Cyclops rushes off, Madelyne tells him that if he leaves now, not to bother coming back. 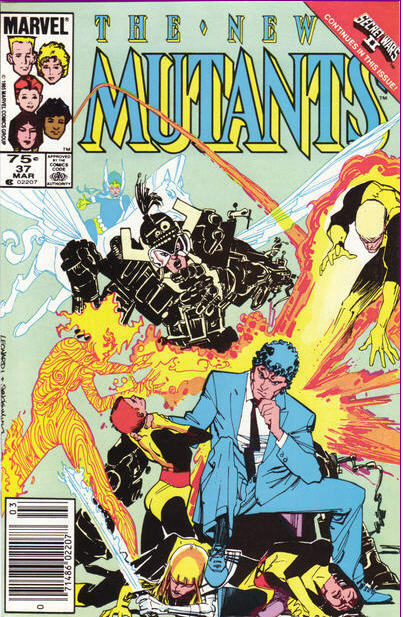 The Beyonder kills the New Mutants. 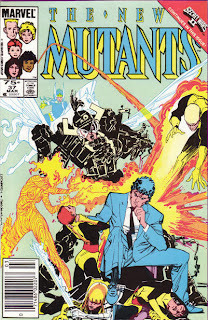 The New Mutants are watching an old Western as Dani talks with her mother on the phone. Suddenly, she sees an image of Death over each of her friends. Refusing to believe the omens, she runs from the mansion to the stables, and flies into the air aboard Brightwind. Concerned, Sam chases after her and convinces her to rejoin her friends, but she can't bring herself to tell him about her visions. In Manhattan, Roberto comes across a crane accident, and is able to lift it long enough for a trapped woman to get free. But when the crane slips from his grasp, only the timely arrival of She-Hulk prevents further disaster, much to Roberto's chagrin. Still unsure of where he belongs, he decides to visit his mother in Brazil. Back at the mansion, Sam and Dani land just as the Beyonder appears on the school grounds. "X-Men...I've Gone to Kill -- The BEYONDER!" 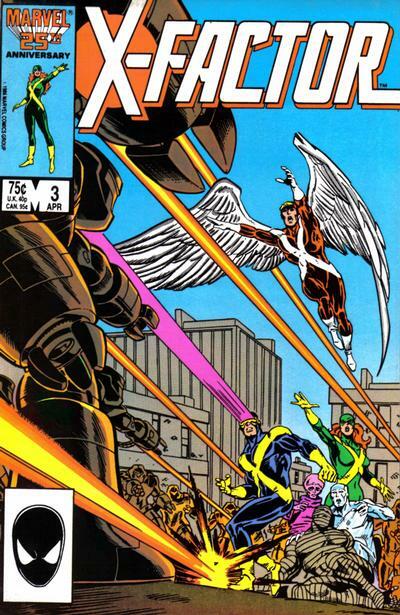 The X-Men fight Sentinels in San Fransisco. 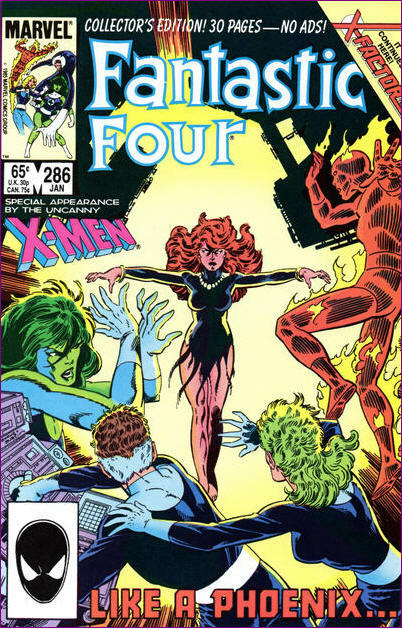 Entering Rachel's room, Rogue triggers a holographic recording from Rachel explaining that she's realized the Beyonder is a threat to everything that exists, and has left to kill him once and for all. Rogue awakens the rest of the X-Men, and Magneto is able to use Cerebro to track Rachel to San Fransisco. Rachel confronts the Beyonder on Alcatraz, but despite all her power, she is unable to faze him. The Beyonder takes her on a journey through her past, taking them into the future she hails from, showing her that her fear and rage come from her failure to save her friends in the future. He then gives her a measure of his power and offers her a choice: she may use it to destroy him, or to save her friends, whom he has transported to San Fransisco and beset by Sentinels from Rachel's future. First of all, I'm once again here to ask you for money. Not for myself of course (but feel free to mail either me or Dr. Bitz checks or loose change if you're so inclined), but for another cool Kickstarter project, this one to help out Jason Powell, the internet's foremost Chris Claremont scholar and author of the most insightful X-Men reviews you'll ever read (not that you shouldn't also read mine). Back in 2012, he wrote and staged an original superhero opera, and is now hoping to raise funds to put it onto CD. Check out his Kickstarter page here. As a fan of both superheroes and musical theater, this seems like a win-win, so I'll be helping out. The world needs more superhero operas. Secondly, a new TV website was recently brought to my attention, What to Watch, a site which is basically an engine to help you pick new TV shows to watch based on your current tastes. The database of the site is chock full of current and popular programs, and I hear tell that the creators of the site hope to eventually expand the selection to include more classic shows and one-season wonders. It's a neat little site, and even if your TV viewing schedule is full (like mine), it's still fun to see what kind of shows get matched up with your favorites. Check it out. Finally, Dobson, a frequent commenter on this blog, has launched a new blog, The Pouch Files, with the aim of examining the highs and lows of comics in the 90s on an issue by issue basis, celebrating and mocking comics' decade of excess, with an emphasis on the books from that era which don't get much love elsewhere on the 'net. I've already both laughed and sighed fondly with nostalgia during several of his posts, and am looking forward to more. 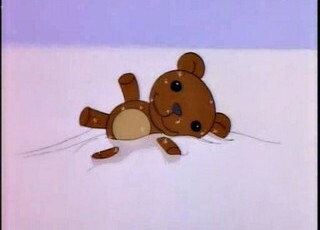 Mr. Burns tries to acquire his childhood teddy bear, Bobo, from Maggie. After Homer is violently thrown out of Mr. Burns' birthday party, Bart brings home a bag of ice containing Bobo, the very thing a depressed Burns is seeking, and gives the bear to Maggie. This episode loosely parodies the 1941 film Citizen Kane (in its depiction of a powerful and successful man secretly yearning for the lost innocence of childhood), with several bits lifted directly from the movie (including Smithers walking in on Burns as he drops a snow-globe).